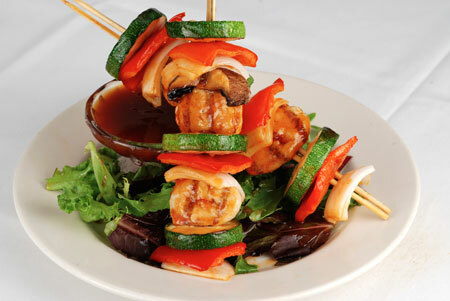 1) Alternate on skewers the onion, red bell pepper, zucchini and Naked Nuggets. 2) Brush with olive oil. Season with salt and pepper and place on medium grill or in oven at 450 degrees for approximately 5 minutes. 3) Take kabobs out of the oven and brush with BBQ sauce. 5) Cook for another 5 minutes. 6) Serve with extra BBQ sauce on the side.